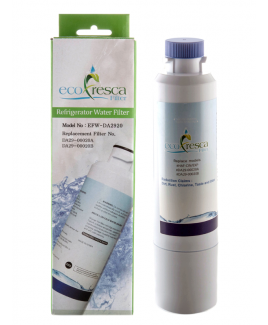 DA29-00020B Features: -Water filter.-Also Known As Samsung DA29-00020A / HAF-CIN Refrigerator Water Filter.-Samsung Aqua-Pure DA29-00020B Plus Water Filter reduces the following contaminants: 99.00pct of Asbestos 96.70pct of Benzene 97.40pct of Chlorine Taste & Odor 99.99pct of Cysts 99.30pct of Lead at pH 6.5 99.90pct of Lead at pH 8.5 98.00pct of Particulates (Class I) 99.10pct of Turbidity 94.60pct of Atrazine 99.00pct of Lindane Fluoride is not reduced. 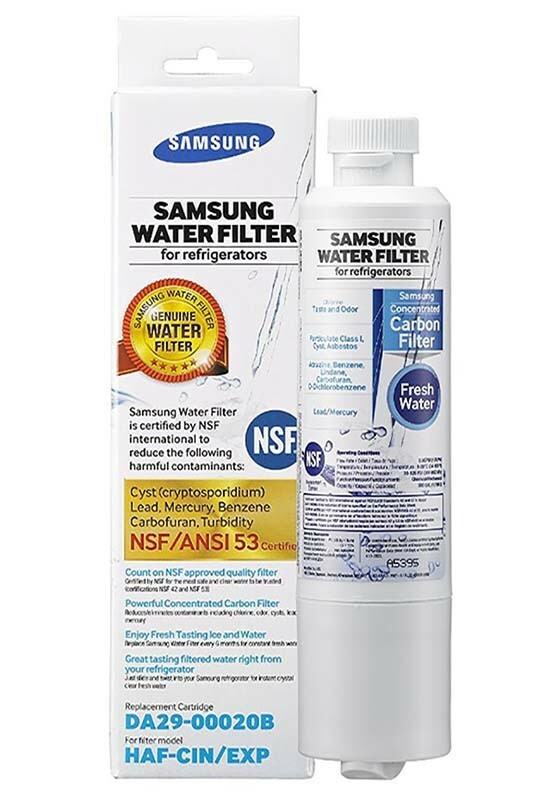 Dimensions: -Samsung DA29-00020B Refrigerator Water Filter Specs: Dimensions: Approximately 2 inches in diameter and 8 7/8 inches long. Filter Life: 6 Months or 300 Gallons (whichever comes first). Operating Pressure: 30 - 125 psi. Operating Temperature: 34 - 100 degrees Fahrenheit. Micron Rating: 0.5 microns.-Overall dimensions: 10'' H x 2'' W x 2'' D.